Matthew Lister married Sarah (?). He lived at Burwell, Lincolnshire, EnglandG. [S6] G.E. Cokayne; with Vicary Gibbs, H.A. Doubleday, Geoffrey H. White, Duncan Warrand and Lord Howard de Walden, editors, The Complete Peerage of England, Scotland, Ireland, Great Britain and the United Kingdom, Extant, Extinct or Dormant, new ed., 13 volumes in 14 (1910-1959; reprint in 6 volumes, Gloucester, U.K.: Alan Sutton Publishing, 2000), volume IV, page 169. Hereinafter cited as The Complete Peerage. Mary Vivian is the daughter of Thomas Vivian and Mary Scrope. Her married name became Scott.1 After her marriage, Elizabeth Fenwick was styled as Countess of Delorain on 11 May 1739. [S6] G.E. Cokayne; with Vicary Gibbs, H.A. Doubleday, Geoffrey H. White, Duncan Warrand and Lord Howard de Walden, editors, The Complete Peerage of England, Scotland, Ireland, Great Britain and the United Kingdom, Extant, Extinct or Dormant, new ed., 13 volumes in 14 (1910-1959; reprint in 6 volumes, Gloucester, U.K.: Alan Sutton Publishing, 2000), volume IV, page 170. Hereinafter cited as The Complete Peerage. From 21 June 1750, her married name became Knight.2 After her marriage, Frances Heath was styled as Countess of Delorain on 16 November 1763. From 16 November 1763, her married name became Scott. [S6] G.E. Cokayne; with Vicary Gibbs, H.A. Doubleday, Geoffrey H. White, Duncan Warrand and Lord Howard de Walden, editors, The Complete Peerage of England, Scotland, Ireland, Great Britain and the United Kingdom, Extant, Extinct or Dormant, new ed., 13 volumes in 14 (1910-1959; reprint in 6 volumes, Gloucester, U.K.: Alan Sutton Publishing, 2000), volume III, page 111. Hereinafter cited as The Complete Peerage. [S6] Cokayne, and others, The Complete Peerage, volume IV, page 170. He was styled as Viscount Barrells. He held the office of Member of Parliament (M.P.) (Whig) for Great Grimsby between 1734 and 1747.2 He was created 1st Baron Luxborough of Shannon [Ireland] on 8 August 1745.2 He held the office of Member of Parliament (M.P.) for Castle Rising between 1747 and 1754.2 He held the office of Recorder of Great Grimsby.2 He held the office of Member of Parliament (M.P.) 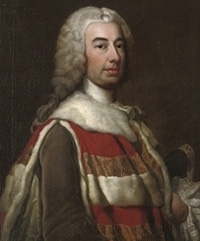 (Whig) for Great Grimsby between 1762 and 1768.2 He was created 1st Viscount Barrells, co. Catherlough [Ireland] on 14 May 1763.2 He was created 1st Earl of Catherlough [Ireland] on 14 May 1763.2 He held the office of Member of Parliament (M.P.) 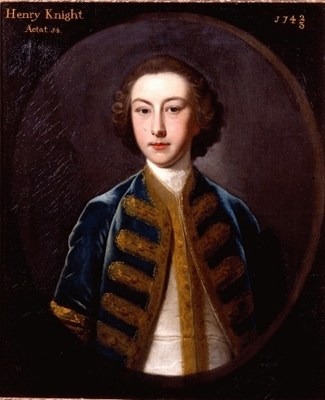 (Whig) for Milborne Port between 1770 and 1772.2 He was appointed Knight, Order of the Bath (K.B.) on 18 May 1770.2 His last will was dated between 11 February 1772 and 24 February 1772. [S6] G.E. Cokayne; with Vicary Gibbs, H.A. Doubleday, Geoffrey H. White, Duncan Warrand and Lord Howard de Walden, editors, The Complete Peerage of England, Scotland, Ireland, Great Britain and the United Kingdom, Extant, Extinct or Dormant, new ed., 13 volumes in 14 (1910-1959; reprint in 6 volumes, Gloucester, U.K.: Alan Sutton Publishing, 2000), volume III, page 110. Hereinafter cited as The Complete Peerage. [S7628] Rosemary Bentley, "re: Blake Family," e-mail message to Darryl Roger LUNDY (101053), 29 June 2015. Hereinafter cited as "re: Blake Family." [S6] Cokayne, and others, The Complete Peerage, volume III, page 111.